LAKEWOOD – The Ocean County Library’s Lakewood branch, 301 Lexington Ave., will present “From Shtetl to Ghetto: The Culture of the Lower East Side” by Leslie Fishbein, March 18 at 3 p.m.
Having fled persecution in the Old World, Eastern European Jews faced oppression in the New. If the Ashkenazim survived the exploitation of the sweatshop and the squalor of tenement life, they found new threats in the perils of prosperity and the pressures of acculturation. Fishbein’s program examines how Jews adapted to life in the “golden medina” (golden land) and the price of their success. Leslie Fishbein is Associate Professor of American Studies and Jewish Studies at Rutgers/The State University of New Jersey. She is on the Faculty Advisory Board of the Allen and Joan Bildner Center for the Study of Jewish Life at Rutgers and teaches such courses in Jewish Studies as The American Jewish Experience in Literature, Blacks and Jews in American History, and Jewish-American Women: Contested Lives. She is the author of “Rebels in Bohemia: The Radicals of The Masses, 1911-1917” and has written articles that appeared in scholarly journals on Women’s Studies and history and film. In 1986-1987 she served as a Fulbright Senior Lecturer at the University of Haifa in Israel. The program is funded by the Horizons Speakers Bureau of the New Jersey Council for the Humanities, a state partner of the National Endowment for the Humanities. For more information about the Horizons Speakers Bureau visit http://njch.org/programs/hsb/. 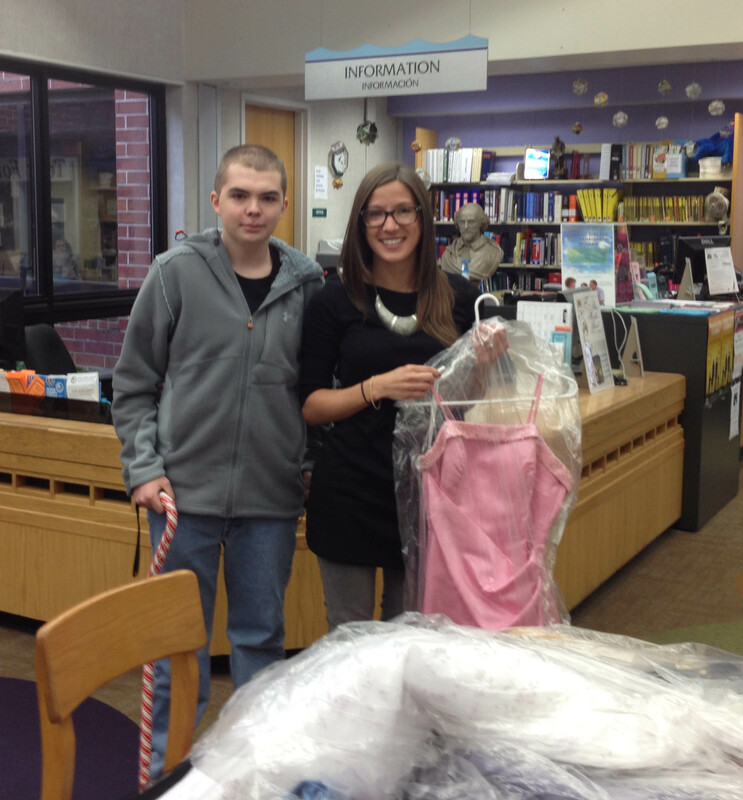 Toms River South student Chris J. Nolze and his non-profit organization “Chris’s Fight for a Cure” donated 17 dresses to the Prom Dress Giveaway. After Hurricane Sandy, Chris began collecting dresses to give away for his Christmas Gift Drive. The dresses were meant to be donated to those affected by the hurricane so they could attend winter formals, proms, dances, and holiday events. For more information on the Prom Dress Giveaway, please contact Erin Gorski at the Lakewood branch at (732) 363-1435 ext. 2118 or Erin DeLucia at the Jackson branch at (732) 928-4400 ext. 3833. Teen Librarian Erin Gorski and Senior Library Assistant Elias Vazquez kicked off the first book discussion with Calvary Academy’s 6th grade class Tuesday January 22nd. 25 students and 2 teachers read Gary Paulsen’s The Hatchet” and took part in fun survival related activities based around the book. 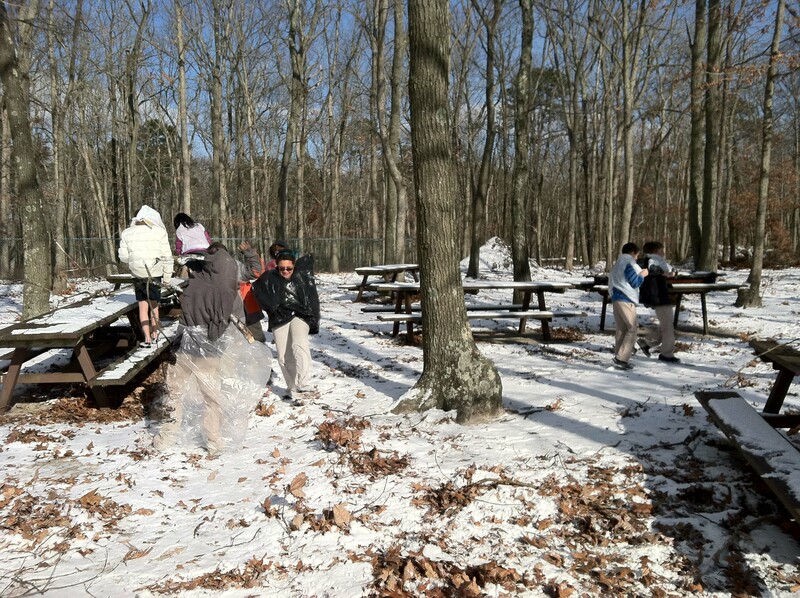 Students discussed how the main character, Brian, learned to survive; took a “Woods Safety Quiz;” and then took to the outdoors to simulate what they would do if they were lost in the woods. 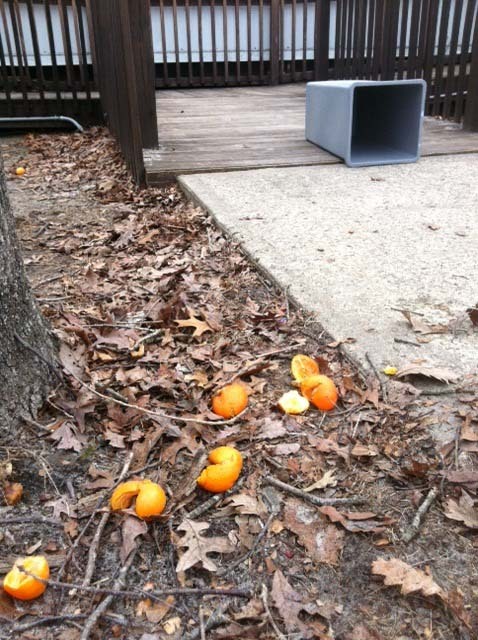 The librarians returned on Tuesday February 26th to host a discussion on Edward Bloor’s “Tangerine. 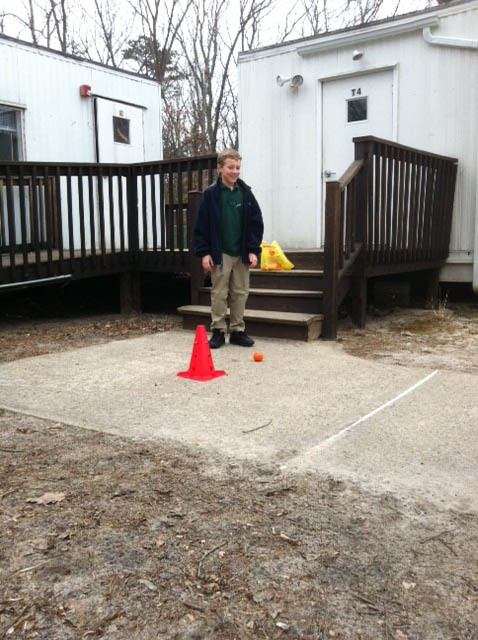 Students discussed the main character Paul’s vision impairment, his family and school life; looked over copies of braille books owned by OCL; and took part in a blindfolded soccer game using a tangerine as the ball. Attorney Daniel Weiss addresses a group at the Lakewood library branch. 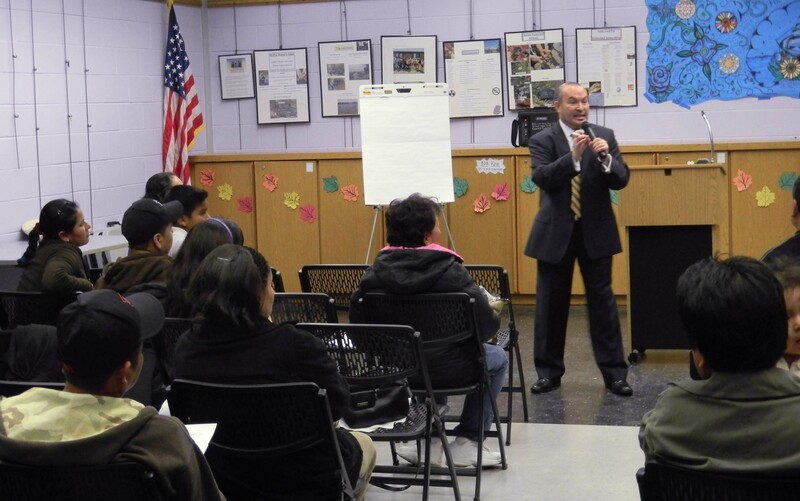 On Monday, Nov. 7th the second “Navigating the Path to US Citizenship” was held at the Lakewood branch and was sponsored by the Ocean County Library Diversity Committee, Focus Group – Libros y Más. Thirty-five participants from several countries including Mexico, Venezuela, Italy, Philippines, and the Czech Republic attended this presentation with guest speaker, founder and principle attorney of the Law Offices of Daniel L. Weiss, LLC. Weiss specializes in Immigration Law. The program was bilingual in nature, informative, and interactive. Many people had an opportunity to have their immigration questions addressed. The Lakewood branch will conduct U.S. Citizenship Preparation Classes in March and April, 2012. Several attendees expressed interest in this future learning opportunity. Teen Success Camp @ Lakewood a great success! 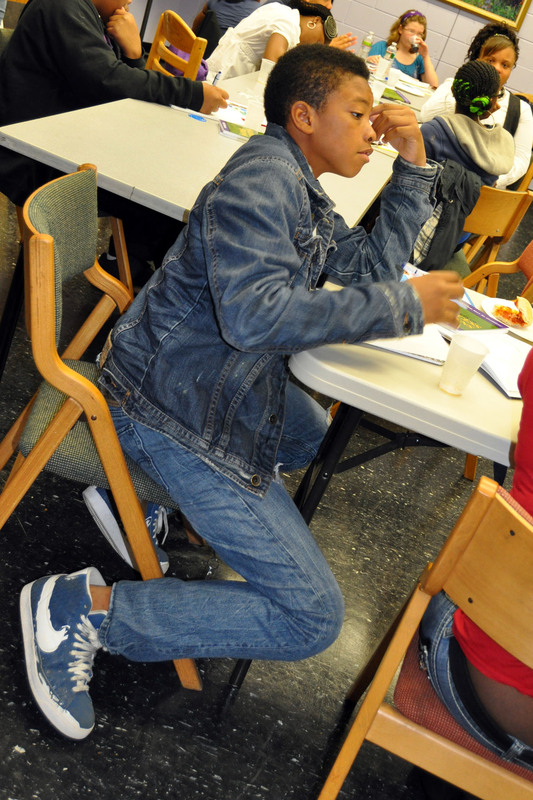 The Lakewood branch of the Ocean County Library hosted 50 people for its 7-hour Teen Success Camp Saturday, May 7th. The Teen Success Camp prepared teens for future success and greatness. The rule of conduct for tomorrow’s success is to prepare for it today. The Teen Success Camp helped teens acquire the knowledge necessary to achieve their dreams. Teens learned the rules for success; gained greater self-esteem; became more self-confident; learned to occupy their dreams; and took part in a book-writing project that will be published. Our special guests were Will Horton and Dr. Loretta Long. Will Horton is the author and editor of more than 20 books on success and greatness. Dr. Loretta Long is a dynamic actress, role model, mentor to children and adolescents from elementary school to college, and is best known for her role she has created as “Susan” on Sesame Street. 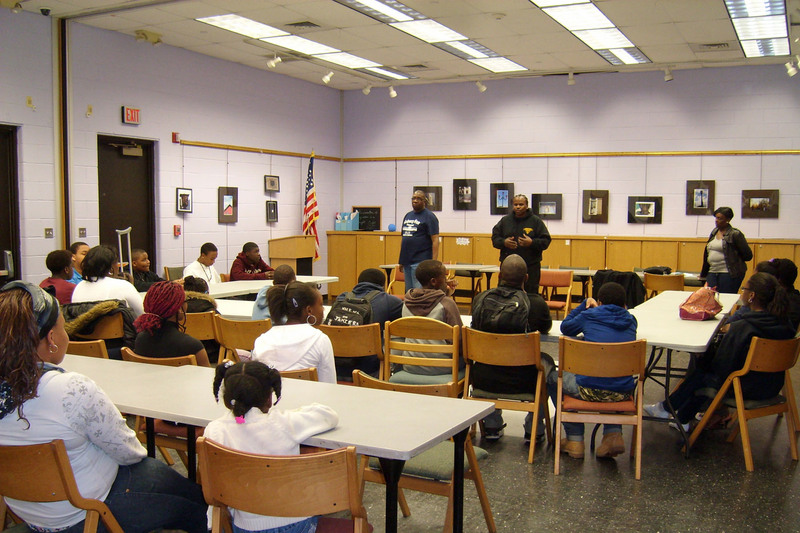 The Lakewood branch hosted the fourth session in its “Man to Man: Face 2 Face/The Law & You” program Monday, April 18th. 30 people attended. Our presenters were Sgt. 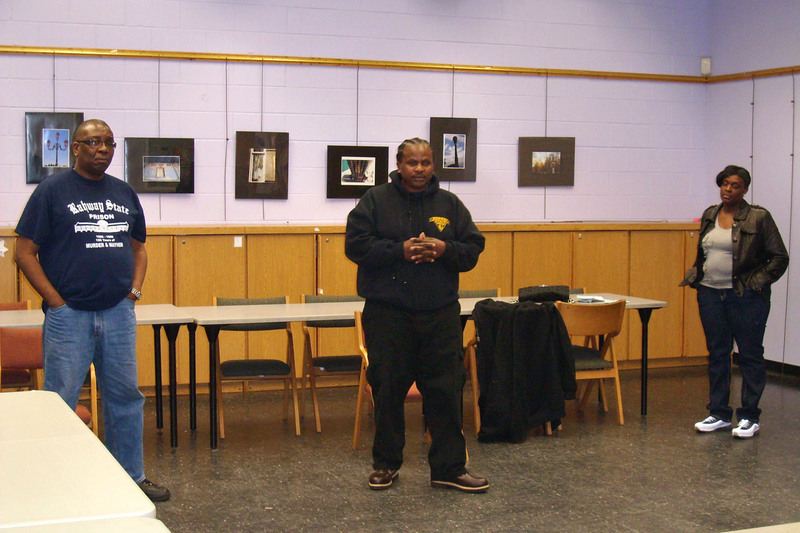 Milton Alexander; Senior Correction Officer A. Booker; and Senior Correction Officer W. Booker from Rahway Prison. In both photos Sgt. Milton Alexander is standing in the center; SCO A. Booker is the other man on the left and SCO W. Booker is the woman on the right. The presenters gave a “Scared Straight” type of program and explained what life in jail is exactly life.